Is game streaming the next big thing? Microsoft unveiled its upcoming game streaming service Project xCloud just a moment ago on the official company blog. The fact that the company did so on the official Microsoft Blog and not on the Xbox or Cloud blogs the company operates speaks for the project and the determination that the company has to make this service a success. The information that Microsoft's Corporate Vice President of Gaming Cloud Kareem Choudhry reveals offers some answers but leaves many questions open as well. But what is Project xCloud? Project xCloud is a new game streaming service by Microsoft for PCs, Xbox consoles, and mobile devices. It appears that Microsoft plans to add the games that are available for the company's Xbox One gaming system to Project xCloud. Microsoft revealed the new cloud streaming service during the company's keynote on the E3 2018 conference. Phil Spencer, Microsoft Executive Vice President, Gaming, did not reveal the name of the service but did mention that Microsoft's service would deliver console quality games to any device. Project xCloud uses Microsoft's Azure infrastructure as the backbone to compute graphics and stream the games to user devices. The use of Azure moves the computational part of games off the device to the cloud so that it is no longer necessary to have lots of RAM, a fast video card or processor to play certain games. Microsoft's game streaming service makes Xbox games available on non-Xbox devices. Games mentioned include Halo and Red Dead Redemption, and it appears that Microsoft plans to make these games and others available on non-Xbox devices. 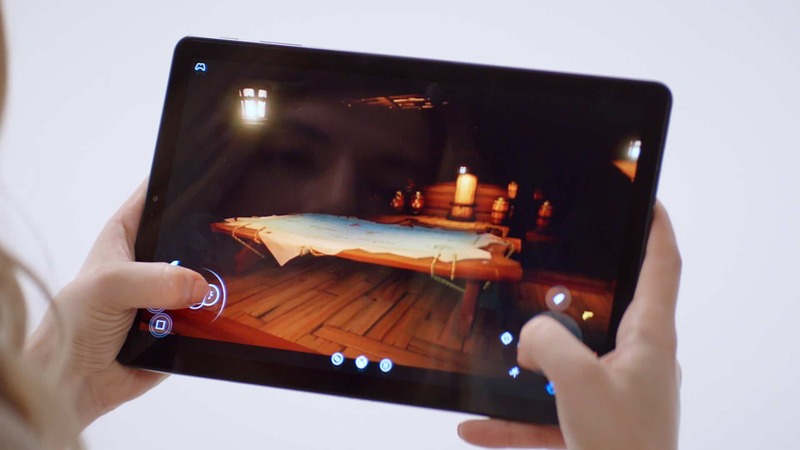 Microsoft revealed that users will be able to play using a mobile device and an Xbox Controller that is connected via Bluetooth or using touch input controls. The company plans to start a public trial of Project xCloud in 2019. Microsoft made no mention of price. Microsoft could create a subscription-based service that charges customers regularly, or it could add the service to game purchases. The most likely scenario in my opinion is a subscription-based service. Gamers subscribe to it for a certain sum that they pay monthly or annually, and may play games that are available. Whether it is necessary to purchase these games or pay extra to play these games remains to be seen. While not mentioned at all, Project xCloud could potentially become the future of Microsoft's Xbox when Microsoft stops creating Xbox consoles for gaming. Sony operates a streaming service called PS Now already that brings streamed Playstation games to Playstation consoles and Windows PCs. The service requires a subscription and users may pick any of the available games that Sony added to the service for streaming. Nintendo uses streaming as well to stream games to the Nintendo Switch. Nintendo uses streaming primarily to bring games that the Switch is not powerful enough for to the system. I guess this is cool for an Android phone or tablet. Or even a low power Windows x86 tablet, but otherwise I don’t find it appealing. Most likely it will have a monthly subscription fee and a per game fee on top of it. I would be keen on knowing how fast a connection has to be as latency must be an issue. If Azure is up to this task then device independent gaming is appealing. On the other hand, dropped frames, lag and freezes will likely put people off. From a commercial view point it would also prevent piracy and also preserve games that may end up being discontinued. As it proves not to be profitable enough. I sincerely hope so. > As Microsoft always does they will shut down this service after a few years […] I sincerely hope so.